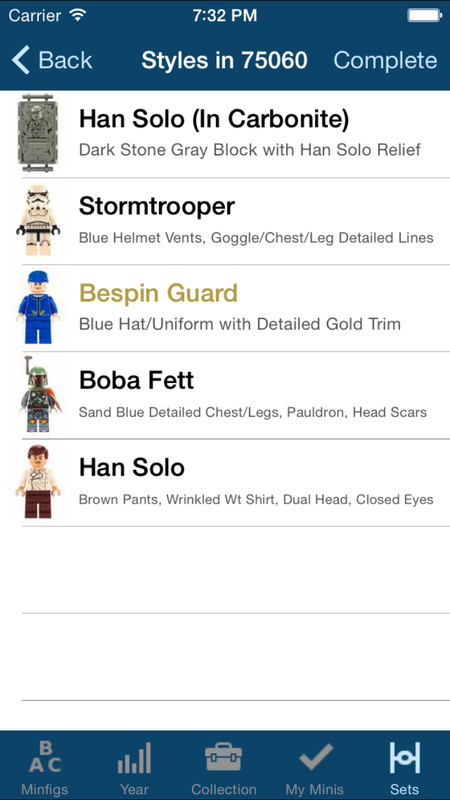 A very large content update to SWMinis was submitted and is pending approval. If approved it should be live be live around March 14/15th according to current review queue times. I am really sorry it took so long this time. It includes over 80 figures from 32 sets: all the 2015 sets and the remainder of the 2014 sets, including the Sandcrawler UCS and Slave I UCS. An update to MyMinis for Series 13 was also just submitted. If approved it should be live around Wednesday March 18. 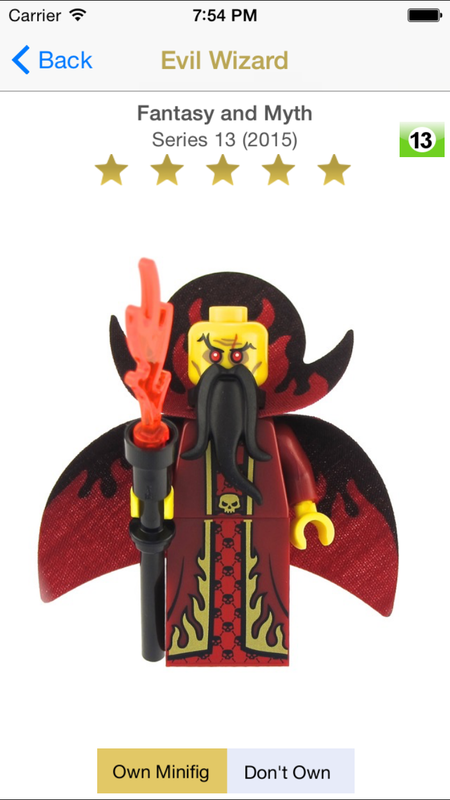 It includes the new 16 minfigures and the Touch Guide for Series 13. Are future updates planned? Simpsons 2 series? Should we wait? Simpsons 2 and Series 14 are out, but no update to the app. Great app, but it is worthless if it doesn't keep up with new series that come out. Is there a timeline for a new version on MyMinis? Thank you. When will you be updating the app? Series 14 is out and you still haven't updated it! I agree with ConE...great app unless you can't keep up with the new releases! When will there be an update to the app? Thanks! 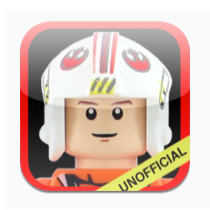 Any idea when The Force Awakens Mini Figures will be added? Hi thanks for the app! 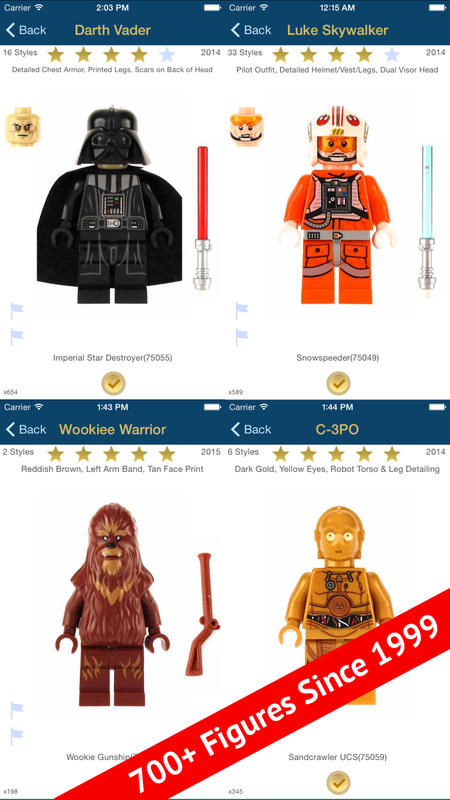 I guess you are waiting to buy the new SW sets in order to update the app? So slow in updating. Quite disappointed on it. Keep up the good work. Looking forward to an update to SWminis. I presume around March/April time again to allow catch up from the masses of sets. A daunting task!! Is there any update on the update? Thanks! And will you be adding both versions of Rey? Please? Will we have an update soon? Wee are very impatient :) ! It's been a year and a half since the last SWMinis update. I love the app but can you guys at least update once/year? Thanks! Over 2 years since last update. Any news guys?